You could be forgiven for thinking that the next Andrew Violette recording would feature the piano. He has, after all, committed his fair share of keyboard music to tape. But you'd be wrong. He has now turned his long attention span to the little violin, and a solo one at that. Clocking in at 107 minutes it dwarfs the competition (Bach and Cage come to mind). And if the thought of nearly two hours of fiddling scares you, then you are in for a treat. Under the youthful Canadian hands of Robert Uchida the journey is a rich and pleasant hike. Like J.S. Bach's Goldberg Variations (admittedly for keyboard), Violette's violin sonata comes with an Aria and sets of Variations. The descriptions reference Ysaye, Kreisler, Bartok, and Verdi. One way or another this violin piece stands on the shoulders of history and breaks world records in the process. It sounds like there's more in the works from Mr. Violette, the habitual self re-inventor: "After I had finished 'Rave' I decided to go back to the beginning. In four months I wrote three big pieces for solo instruments: a piece for cello, a piece for guitar, and a piece for violin. Sonata for Unaccompanied Violin is the first to be recorded, masterfully by Robert Uchida who took endless pains to transform this score into something beautiful." 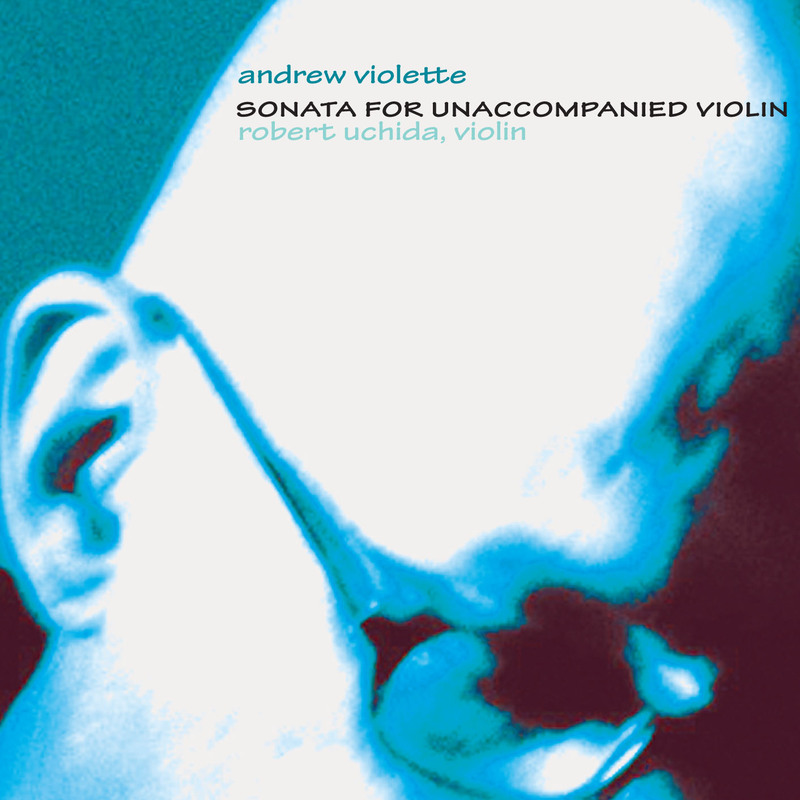 Although a sonata for solo violin that lasts 107 minutes and requires two CDs may seem like a mere trifle from a composer who has composed a three-hour piano sonata, Andrew Violette’s harmonically meandering, but surprisingly gripping, tour de force is a rewarding musical adventure for performer and audience alike. And while its dedicatee, Robert Uchida, says that it “makes use of every possibility on the instrument from Bartók to Paganini,” it is more an extended reflection on sonority and gesture than a demonstration of violinistic fireworks. The centerpieces of the 2006 sonata are a 34-minute chaconne and an hourlong set of seven variations on the opening aria (with nods to Ysaÿe, Kreisler, Bartók, and Verdi), while its three “Bells” movements, the last a stunning exercise in trills and scales, provide a unifying thread to the experience. The unvarnished recording does not prevent Uchida from making ravishing sounds on his Italian fiddle (attributed to Carlo Bergonzi, ca. 1733). The youthful concertmaster of the Symphony of Nova Scotia in Halifax plays with an eloquent, hypnotic intensity and inevitability that seamlessly accommodate occasional outbursts of energy, including a series of sudden, wonderful arpeggios midway through the chaconne. What Uchida calls “the sheer magnitude, almost religious nature of the work” comes through—after you get accustomed to the music’s introspective pace and graceful shape.